Do you need something warm and simple sometimes? Me too. The anime series Laid-Back Camp (Yurucamp) is exactly what it sounds like. There is camping, beautiful scenery, friendship, and yummy-looking food. 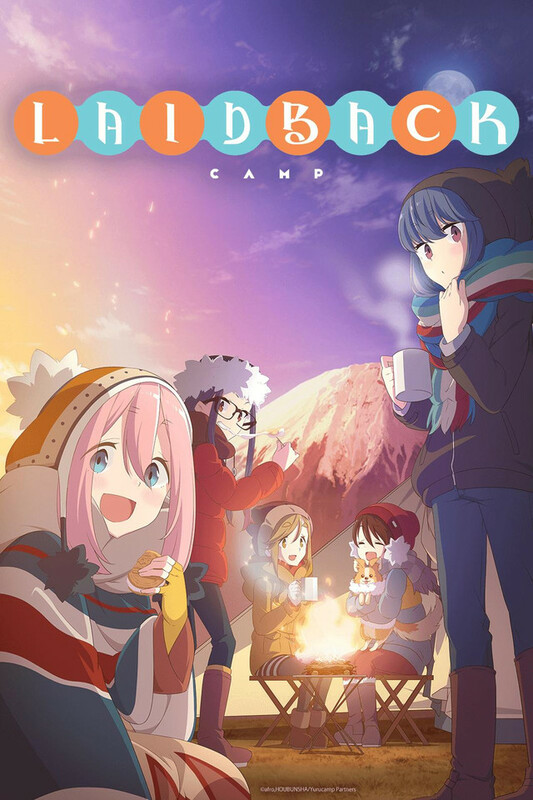 The last two episodes of the 12-episode series follow the main characters, a group of high-school girls, on a Christmas Eve camping trip. In "Christmas Camp!" the girls meet up for their planned excursion. Friends (and founders of the school outdoors group) Chiaki and Aoi arrive early and get ice cream at the store up the road. Rin (an experienced solo camper) arrives on her moped, but can't find anyone else, so she sets up her tent a little ways off. Nadeshiko (hyper enthusiastic newbie) gets dropped off by her sister and she and Rin talk about the plan to trade off making meals. Chiaki and Aoi find firewood at the store and get Rin to come carry most of it on her moped. (Their adult chaperone spends most of these two episodes amiably drunk.) Rin's friend Ena arrives with her dog and they spend the afternoon playing in the fields of the campground. Aoi makes delicious dinner for everyone, although their portable stove threatens to run out of gas at the end of the night. At one point Ena reveals her contribution to the trip: fun warm Santa outfits for them all to wear, and a miniature light-up tree. That's it. That's a half-hour of television. It might sound boring, but I find it quite enjoyable. There is some gentle humor, but nothing exciting. It's calm and soothing. The music is lilting and serene; the scenery is beautifully painted. The best word for it is restful. "Mount Fuji and the Laid-Back Camp Girls" picks up in the same spot: Rin goes to get more fuel for the stove. 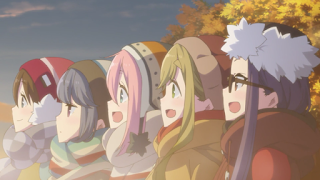 Nadeshiko shares a fanciful daydream about them all going camping together as adults. They visit the onsite baths in groups, watch videos on a tablet, and enjoy the stars before sleeping, waking up in time to see the sunrise on Mount Fuji. Now Christmas morning, Nadeshiko makes everyone a traditional Japanese breakfast, and they pack up and head home, already planning their next camping trips. 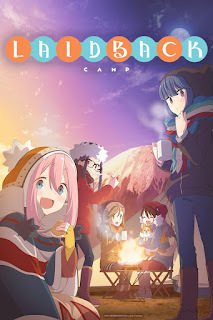 The end of the episode loops back thematically to the beginning of the first: In the first episode, Rin is going camping alone and meets Nadeshiko outside a rural store; at the end, Nadeshiko is trying solo camping and runs into Rin at the same campground. The Christmas themes are thin, but present. Even for this mellow series, these are especially mellow episodes. And after thinking about them for this long...*Yawn*... I think it's time for a nap, and maybe a dream about beautiful vistas.